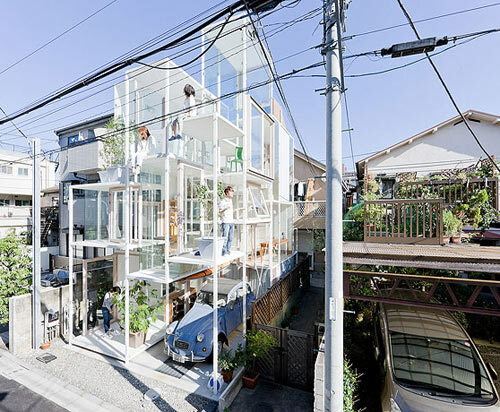 Architects Design Transparent House in Tokyo – Could You Live In This? 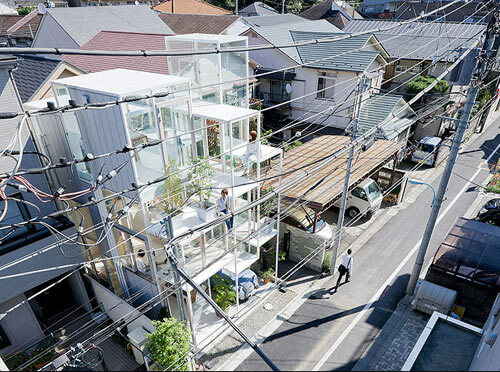 The footprint is just 914 sq ft (85 sq meters). 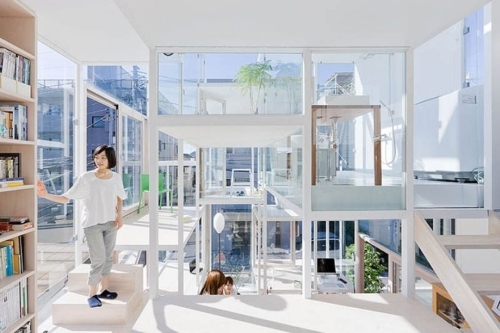 The architects have managed to elegantly combine 21 floor plates positioned at various levels and connected by a system of stairs and ladders that create an easily accessible, light-filled space. 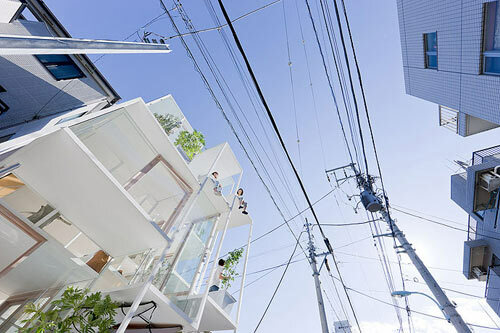 The house is surrounded by homes of a more conventional design in a quiet neighborhood of Tokyo. 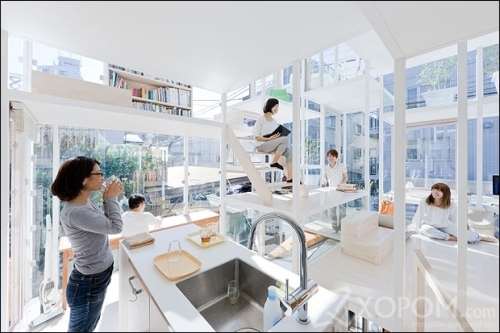 At night curtains provide some privacy as you’ll see in the short (3:27) video above (5 photographs).